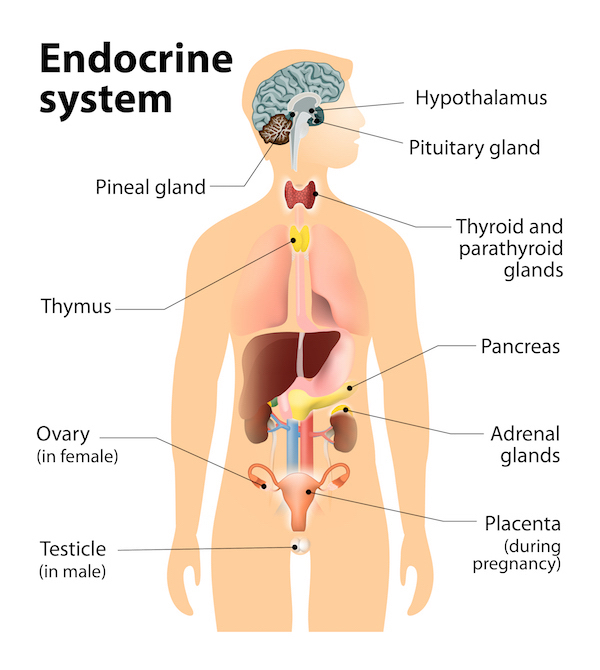 Hashimoto's Disease - The Endocrine Center, P.C. Hashimoto’s disease is an autoimmune disease that affects your thyroid gland. Autoimmune means that, for one reason or another, your own antibodies attack your thyroid gland. This leads to inflammation and eventually below normal thyroid function (hypothyroidism). Other names for Hashimoto’s disease are Hashimoto’s thyroiditis and chronic lymphocytic thyroiditis. If you have any of these symptoms, you should consult with you doctor as soon as possible. Hashimoto’s disease is an autoimmune disease where your own body does harm to your thyroid gland leading to inflammation and eventual under-activity. The exact cause of the disorder is not known. Some theories suggest that an infection by a virus or bacteria could be the cause. Other evidence shows that there might be a hereditary component. Women in middle age are at highest risk for developing this disease; however, it can occur in any person at any age. Goiter: This is an enlargement of the thyroid gland. 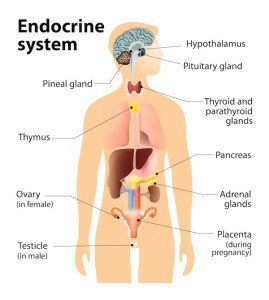 Since there is not enough thyroid hormone in your blood, the pituitary tries to stimulate the thyroid leading to gland enlargement. In severe cases this could affect swallowing or breathing. Heart Disease: The hypothyroidism associated with Hashimoto’s disease can lead to increased levels of “bad” or LDL cholesterol. High cholesterol is associated with an increased risk of heart attacks. Also, long term hypothyroidism can lead to heart enlargement and, rarely, heart failure. Depression: An underactive thyroid gland can lead to a depressed mood or even clinical depression. It can also lead to a decreased sexual desire. Myxedema: This is a rare complication of hypothyroidism, but it can be life-threatening. If the illness has gone undetected for a long time, hypothyroidism can lead to severe cold intolerance, lethargy and unconsciousness. This is a medical emergency. Birth Defects: Pregnant women with hypothyroidism caused by Hashimoto’s disease have an increased risk of giving birth to a child with birth defects including: mental retardation, cleft palate and heart and kidney problems. Your doctor might also order an antibody test to check for levels of antibodies produced by your body. Antibodies against thyroid peroxidase are often present in Hashimoto’s disease. Thyroid Hormone Replacement: If you develop hypothyroidism due to Hashimoto’s disease the best treatment is synthetic thyroid hormone replacement. Doctors use the medication levothyroxine (Synthroid, Levoxyl, Levothyroid) to treat hypothyroidism. Usually this medication must be taken for life. Its effectiveness is measured by checking TSH levels in the blood and by following your symptoms. Surgery: This would only be indicated in very rare cases where thyroid enlargement is interfering with breathing or swallowing. In most cases the disease is detected before these symptoms occur. Hashimoto’s disease is an autoimmune disorder that affects the thyroid gland and can lead to hypothyroidism. Typical symptoms of hypothyroidism are fatigue, dry skin, weight gain, constipation and hoarseness of the voice. The diagnosis is made by physical exam and blood testing. Hashimoto’s disease is usually treated with thyroid hormone replacement for life. This is my second time going to Dr. Armellini. During both appointments, I did not have to wait. The staff is very friendly. Dr. Armellini, is very professional, makes sure that before your leave the office, she has answered all your questions.